ince 1992, we have been in the business of moving the property and possessions of people who are moving to a new home. 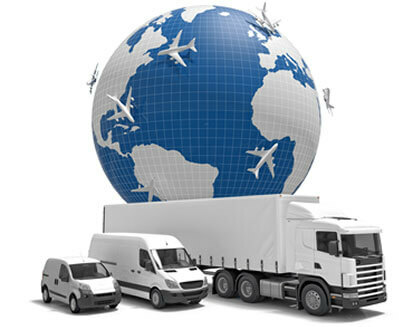 Over the years, we have developed our moving skills until they are the finest available, we have developed a world-class network of providers and partners, and we are the best Long Distance moving company you can find. Simorgh Pack uses the same high standards whether it is moving a household across town, across the country, or overseas. We do everything for you so you don’t have to worry about a thing. Long Distance moving must be done right. The move must be carefully planned, the most economical route with the best carriers must be selected, the household must be carefully packed, shipped safely, and upon arrival unpacked and made ready for use in your new home. Simorgh Pack handles all the details for interstate moving customers so your property arrives safely, and in excellent condition. We have earned an excellent reputation in the long-distance moving business, and we pride ourselves on our excellent customer service. Our movers are professionals – they care about their work and they care about your well-being and peace of mind. Before you can pack your possessions, and after they’ve arrived at your new place, there is a lot of work to do. Beds and other furniture have to be dismantled – and at the destination they have to be re-assembled. We offer a complete range of services to assist you in preparing your possessions and unpacking and helping you settle quickly into your new home. Our professional moving crews personally pack, pick up, deliver and unpack your household. We have our own fleet of tractor trailer moving vehicles and we operate them with our own trained crews. When you move with us, you are guaranteed a safe, smooth experience. You and your possessions will arrive safely and with no stress. We can handle small moves or large moves – nothing is too difficult for us. We are known as the best long distance relocation company, and we back up our world-class moving services with a written guarantee. Our twenty years of experience in the moving business has brought us many satisfied customers and several community awards.